Looking for a healthy, active alternative for the weekend? 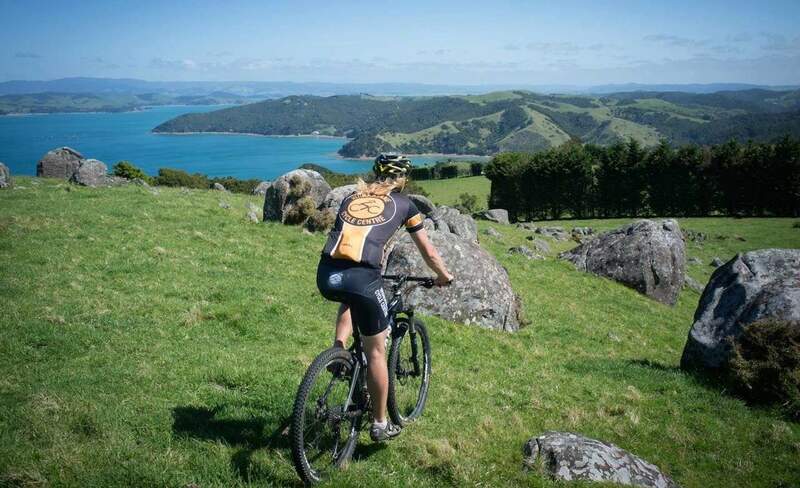 Auckland is within arm's reach of several quality riding experiences and trails. While starting out with a 20-kilometre slog isn't always realistic for beginners, there are ways to help you travel further, in less time, and with less physical exertion. Namely: eBikes. Together with Bosch eBike Systems, here are five trails outside of Auckland to try this winter that are suitable for pepped-up bikes, and allow you to explore more on your weekends. 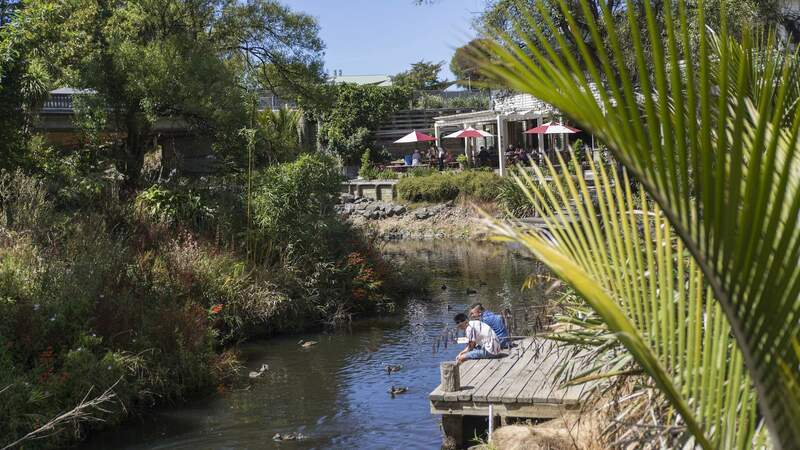 Not just a destination for sipping on wine and wiling away the weekend, Waiheke Island is a fantastic spot to tour on two wheels. Bikes can be carried on the ferry from the city centre at no extra cost, making it the perfect out of town cycling adventure without even having to load up the car. With cycling maps available onboard, it's also the perfect opportunity to sit down and plan your route. Once you arrive there are several paths to explore on the island. The Easy Riders Loop starts at the Matiatia ferry terminal before working its way through the Oneroa Village, around the headland and back down to Little Oneroa Beach. The Beach Lovers Track is a three to four hour loop from the ferry terminal to Onetangi — the perfect spot for a mid-way swim. 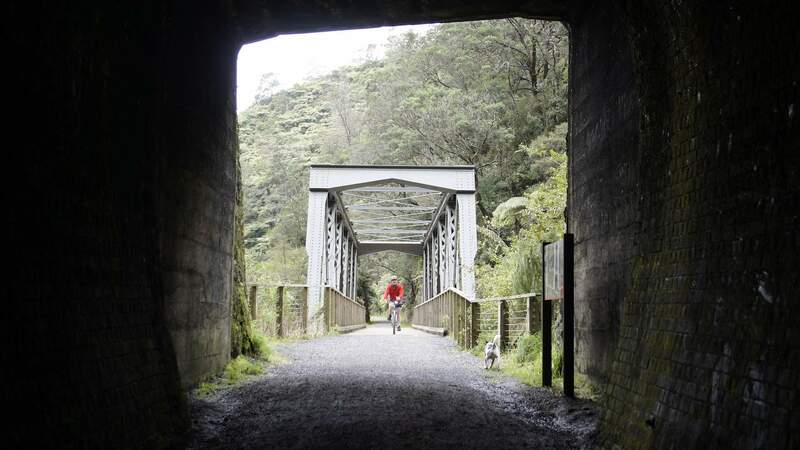 En route to the Bay of Plenty just south of Auckland, the Hauraki Rail Trail follows the old railway line between the historic gold mining towns of Thames, Paeroa, Te Aroha, Waihi and Matamata. The best part is that there are several flat and easy rides to get you started. The trail is split into four sections, comprising 160 kilometres, and the entire thing can be knocked off in two to four days, depending on your skill level, of course. Day rides are also available. Waihi to the Karangahake Gorge is an achievable 8-kilometre return journey to get you going. Elsewhere, there's a 1-kilometre tunnel with glowworms and a detour past Paeroa's infamous giant L&P bottle. Just north of Auckland, the Matakana Cycle Ride makes its way from Matakana to Omaha and Point Wells. While sections of the trail are recommended for more advanced cyclists due to gravel roads, there is a mix of cycle lanes and sealed backcountry roads for smoother sailing. 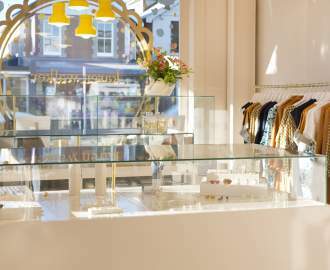 For those who would really like to make the most of the weekend, an abundance of wineries and cafes can be found dotted around the community. If you've already completed the Hauraki Rail Trail, keep heading south until you're deep in rural heartland. The Waikato River Trails follow a stretch of the Waikato River through native forest, wetlands and reserves. The trail is divided into five sections, and can be completed in around two to four days. The Arapuni to Lake Karapiro section is a three-hour ride suitable for most abilities. 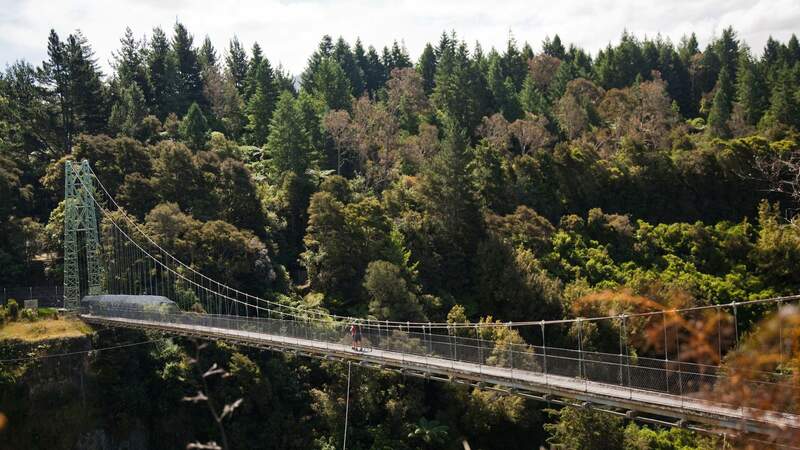 Highlights along the way include the 150-metre-long Arapuni Suspension Bridge. Beveridge Trail is one of the few tracks still open in the Waitakere Ranges following the Kauri dieback prevention program. Saying that, there are cleaning station at either end of the trail you should use if you plan on heading here. 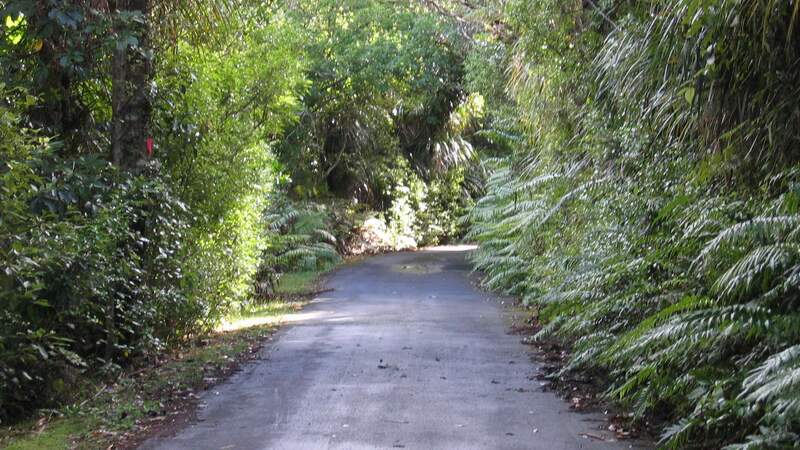 Starting near Titirangi around Exhibition Drive, the trail will take you through the heart of west Auckland bushland. It's a 12-kilometre return trip and suitable for all riders and abilities. Take your time and soak up the serenity. Looking to travel further, in less time, and with less physical exertion? 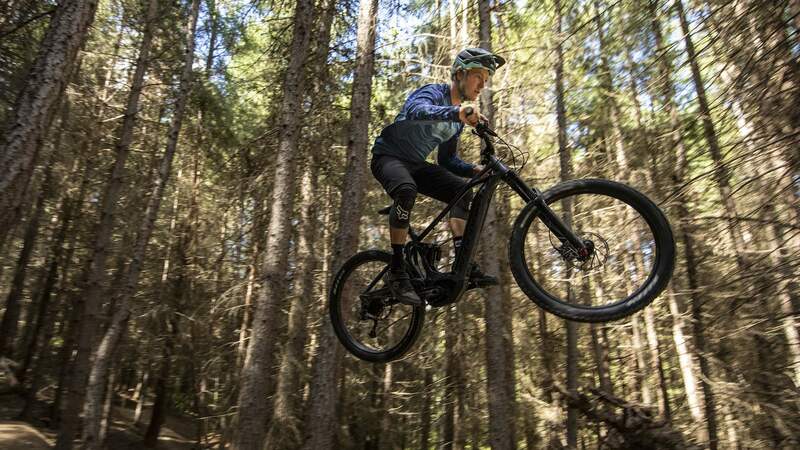 Learn more about Bosch eBike Systems at bosch-ebike.com/nz/.